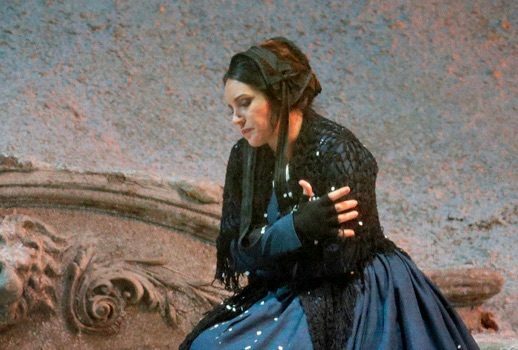 La bohème returned to the stage of the Metropolitan Opera once again last night (does it ever leave?) The cast was notable; in particular, Sonya Yoncheva provided a significant reason to see the company’s numbingly repetitive production. She followed Angel Blue and Anita Hartig in the role of Mimì. Yoncheva’s Mimì was an ethereal incarnation: paradoxical, difficult, and nuanced. More so than Angel Blue, who offered transparent warmth and gorgeous singing, Yoncheva’s Mimì perambulated through the opera’s imaginative field with sickly beauty—an angel of death, evincing not so much a febrile, passionate convulsion, as a methodical approach to some mysterious threshold. Her singing was most expressive in the middle-voice, where her richly textured soprano had a flexible, liquid quality. She deployed a true legato, and her work was most nuanced and articulate within this register. However, she seemed to run into problems as she ascended the scale, her timbre darkening, dissolving into an owlish hoot. Whatever was happening for the soprano in this higher register, technically, seemed to send her intonation off course. The most salient problem with this defect was that it made her performance an exercise in frustration and impotence. As she elegantly moved through her two famous arias, the gorgeous shimmer of her middle-voice raised one’s expectations; I longed for orgasmic, musical climax. But it was here in these romantic swoops—where it probably counted most—that she fell short. From a lesser artist, this might have been par for the course. From Yoncheva, it was stinging disappointment. Even so, he didn’t quite connect with the role’s potential for beauty and transformation. Physically, he and Yoncheva made an attractive couple. But where she seemed to pull back in moments of climax, protecting her sound (and dimming its luster), he pushed through with blustering abandon. I admired his gumption even if I disliked its effect. Susanna Phillips as Musetta had the charisma of an orthopedic shoe. Her thin, vanilla voice tottered through the score. It was unremarkable. Why the Met repeatedly hires her is beyond me. With all the sopranos in the world—countless women who are capable of turning in a fiery, complex, and glamorous Musetta—why does the company recalcitrantly choose to cast the operatic equivalent of Kristen Stewart? Embedded in Musetta’s name is the word muse. Phillips did not inspire. She was boring. Lucas Meachem’s Marcello was dependable—ballast for an otherwise vocally unwieldy evening. His winning, smooth baritone was at once refined and robust. And Matthew Rose and Alexey Lavrov as Colline and Schaunard were also competent, if typical. 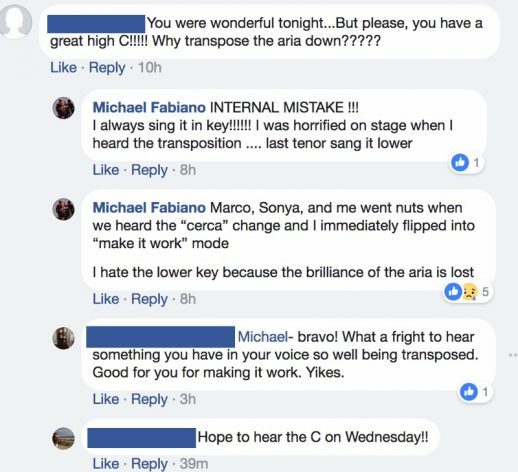 Down in the pit, the ebullient Maestro Marco Armiliato seemed to be having the time of his life—oblivious to his singers’ technical neuroses. Under his baton, the orchestra swooned and sighed, romantic but tasteful in its reading of the score. Where his cast seemed overly preoccupied, he alone surrendered to the score’s majestic mysteries. All this having been said, I don’t see the point in once again plodding endlessly through Zeffirelli’s hyper-attentive production, or elaborating on the opera’s more fascinating themes of ars poetica, poverty, and illness. If you have any interest in these points, I happily point you in the direction of the review I wrote earlier this season, back when Blue made her debut. Which is to say: I am ready for a new production of La bohéme from the Met—a desire I doubt will ever be satisfied. Understandably, the Met’s bohéme is uniquely popular. It brings in audiences. It makes money. Fair enough. But it would be nice to see an iteration of the piece that explores the opera’s inexhaustible genius, treating it more like a work of art and less like an amusement park ride.